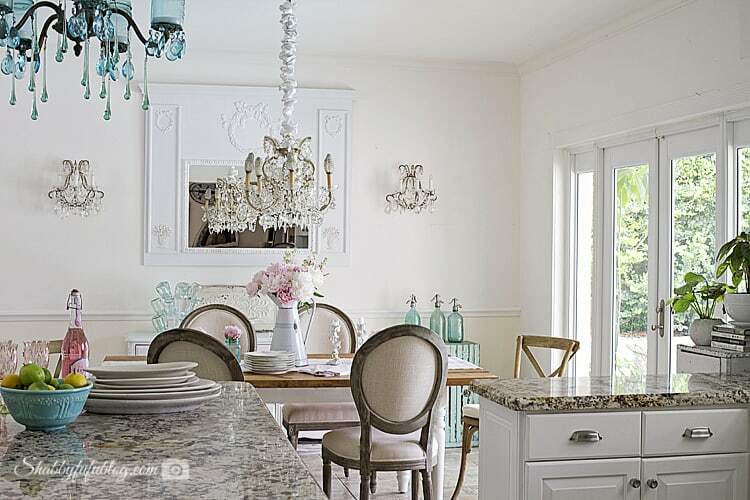 I’m not really sure that my home style has a definitive name as I’ve mentioned before, but I am inspired by the homes that I’ve visited in France like THIS gorgeous French country home and then THIS breathtaking French Country home. They are definitely worth a look if you haven’t seem them here and you may just recognize one of the homeowners who is a well known French artist. 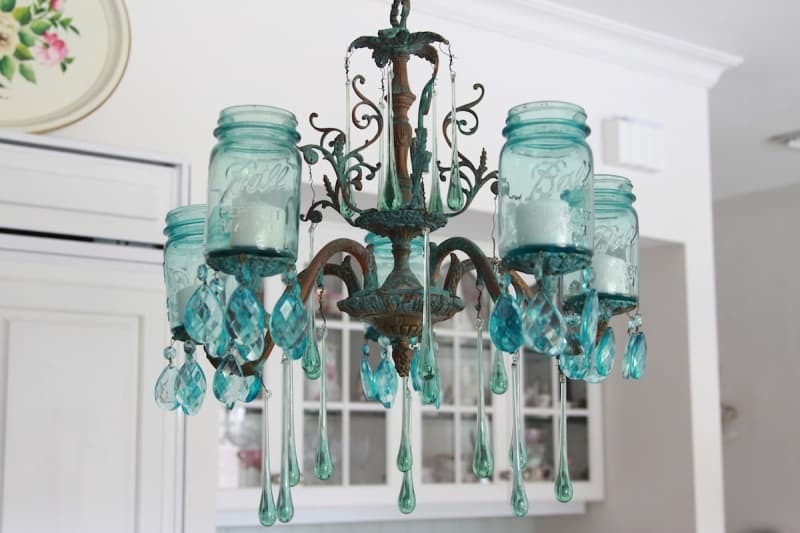 When I set out to make my Mason jar chandelier it was back quite a few years ago and at that time I don’t think that anyone else was doing them to my knowledge. 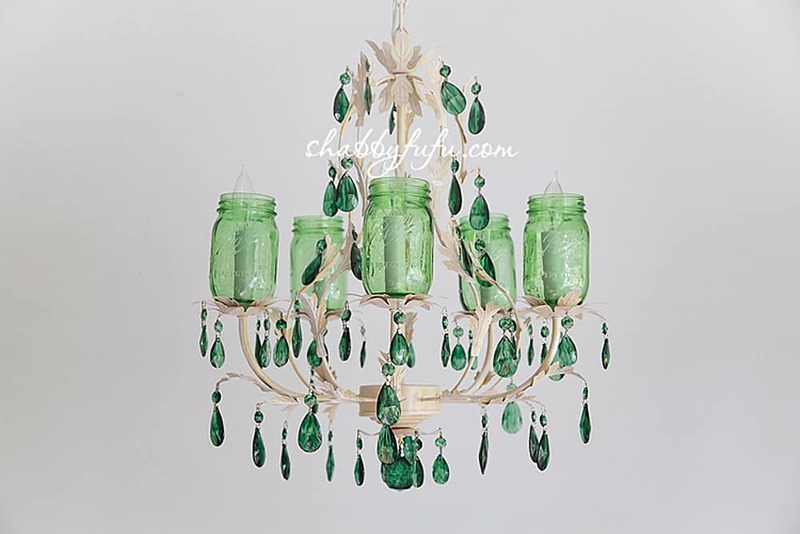 It came on a creative whim, thanks to my husband bringing me home a rusty crusty vintage chandelier that was found in a heap of trash on a construction job site. He’s well trained :~) Our MASON JAR LIGHT is different…more on the designer side I think. 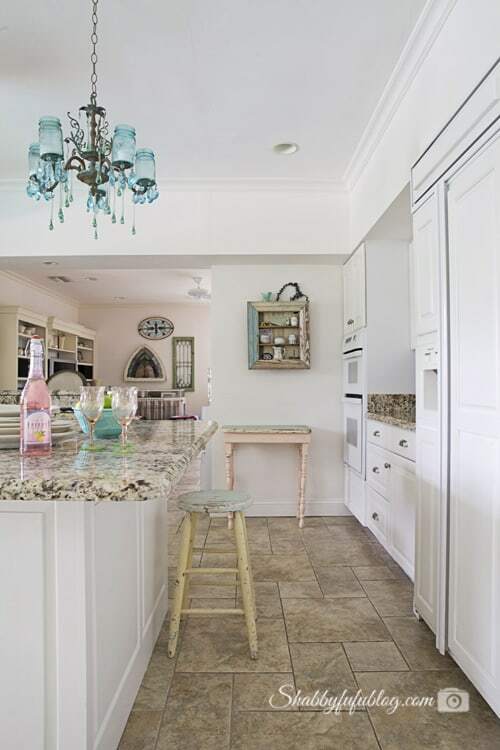 This is the rusty chandelier that started it all and you may have seen it by now somewhere on-line. It was so clogged up with rust from the Florida climate that it couldn’t really be rewired so we decided to make this one into a “candelere”…lit only by candles. Truth be told we don’t light it up very often, so it’s really more just for a pop of color than anything else. Since we couldn’t electrify this one we drilled small holes to just lay the jars on top of the holes where the original electrical came out. We stripped the wiring and took off the sockets and the jars just sit there nicely. The candles need to be lit with a long lighter and the wax collects in the bottom of the jar without dripping out. 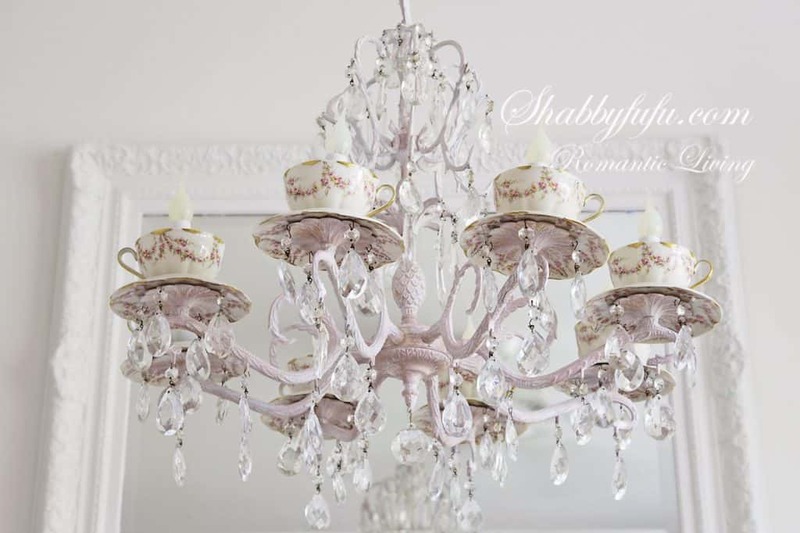 The chandelier drops are a combination of long and pendant shaped. 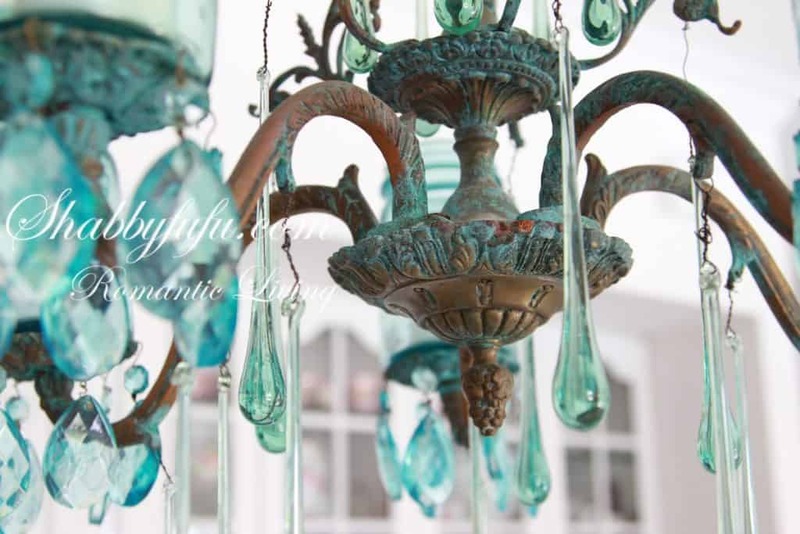 The long green vintage chandelier droplets I found at a brocante market in France. Knowing that some day I would use them, I brought them home with me. I love when that happens…it’s almost like somehow I knew beforehand. 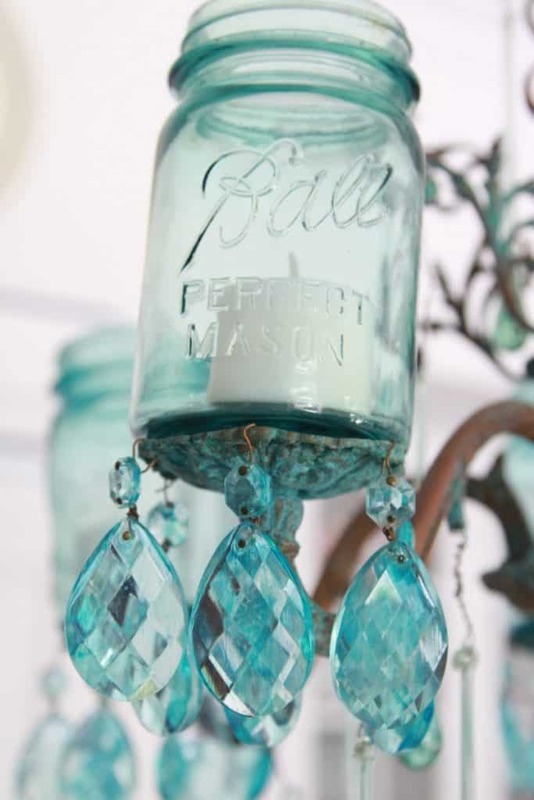 These vintage chandelier crystals I colored to match the jars and there are a couple of different ways to achieve that look. 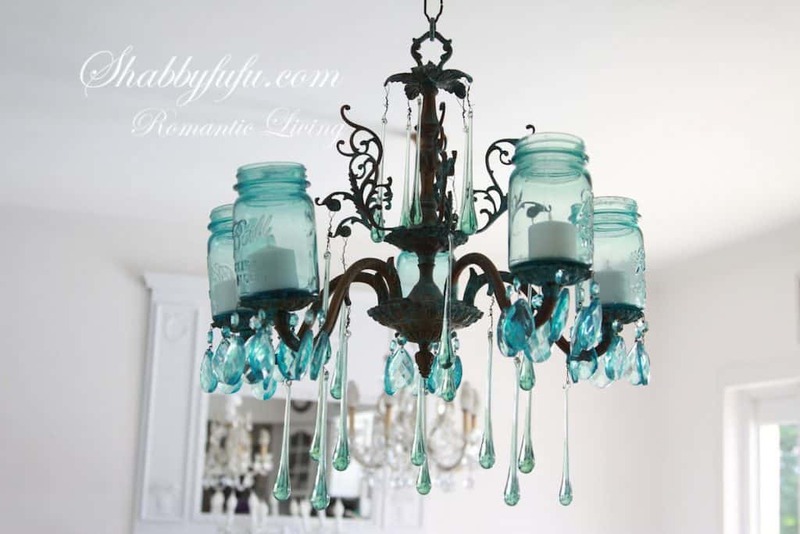 You can use a product like school glue or Mod Podge and food coloring and I love to do that to change the shade of jars around the home. 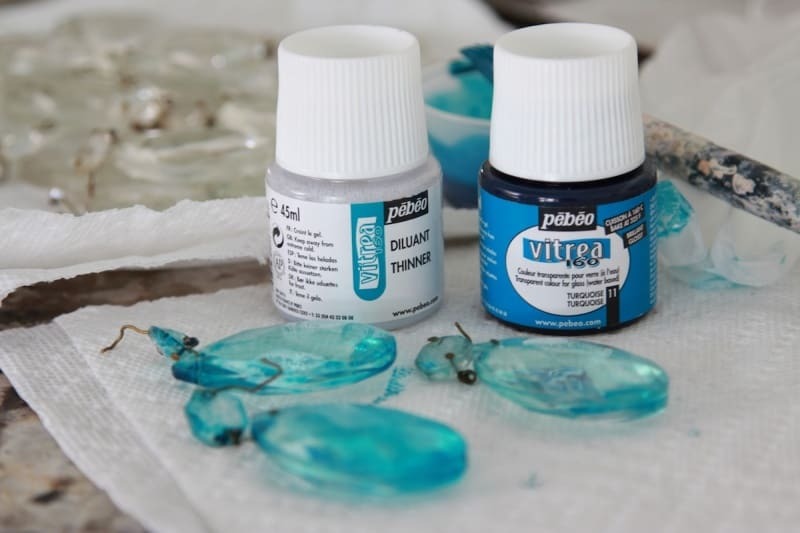 Lucy of Craftberry Bush has a great TUTORIAL on that and her blog is always a favorite! We make the holes in our jars with a DRILL PRESS and my husband recommends the one that he purchased on AMAZON. It’s A Rikon brand and has great reviews…you can find that HERE. He uses a 3/4″ diamond bit to make the holes, which once again you’ll find HERE. You’ll also need to purchase cutting oil that needs to be sprayed on the jar as you cut it so that the glass doesn’t overheat and break. 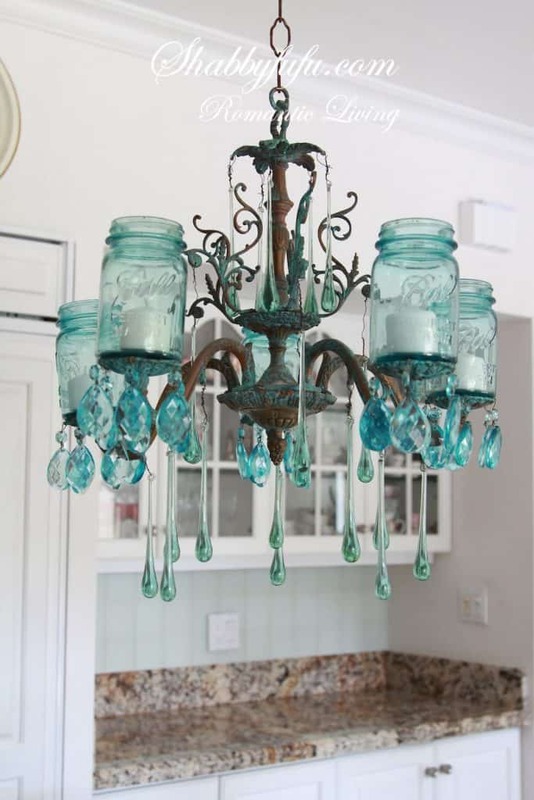 This is similar to what we will be making for a client who has a farmhouse style home and she requested clear jars for hers. 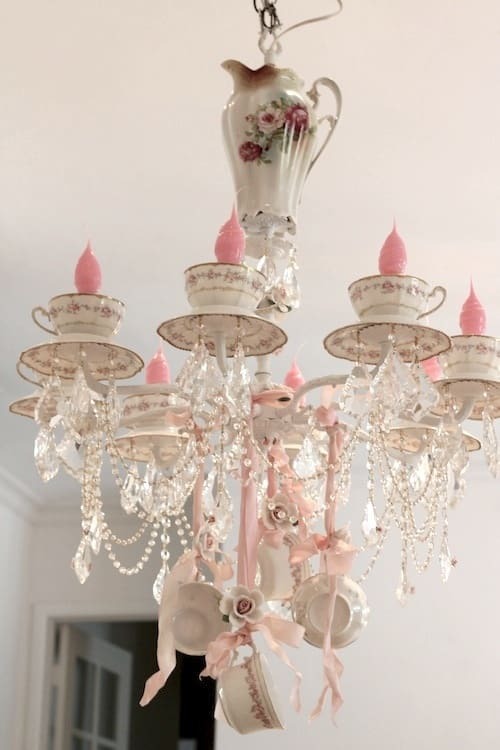 There are lots of chandeliers out there that you can purchase ready made but I love vintage and if you have a farmhouse decor you can take this style as far as you’d like!